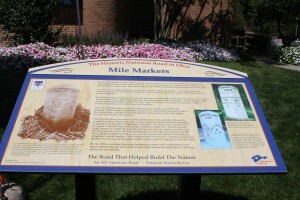 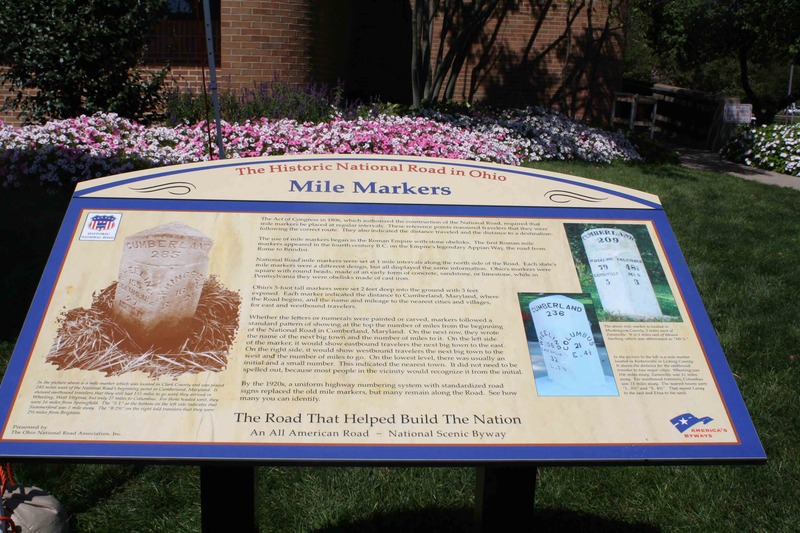 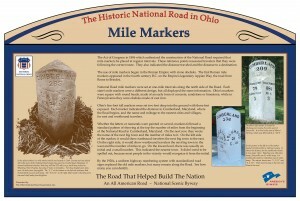 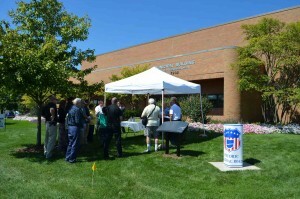 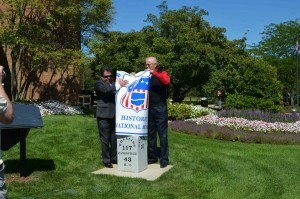 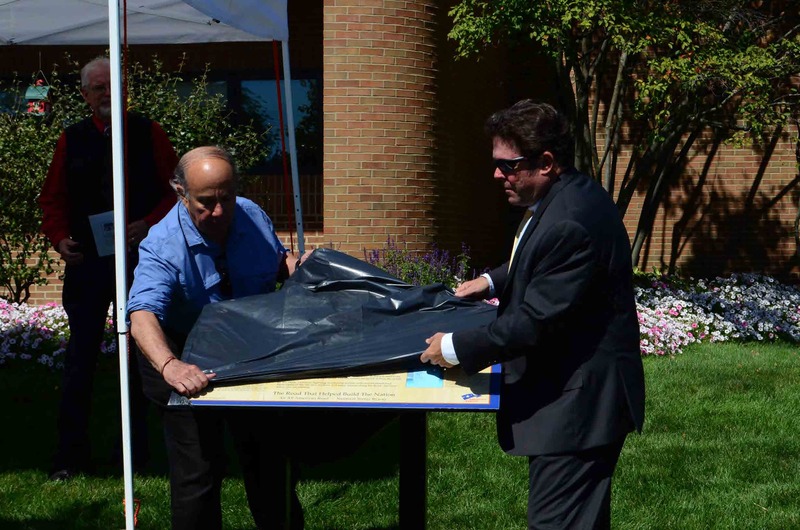 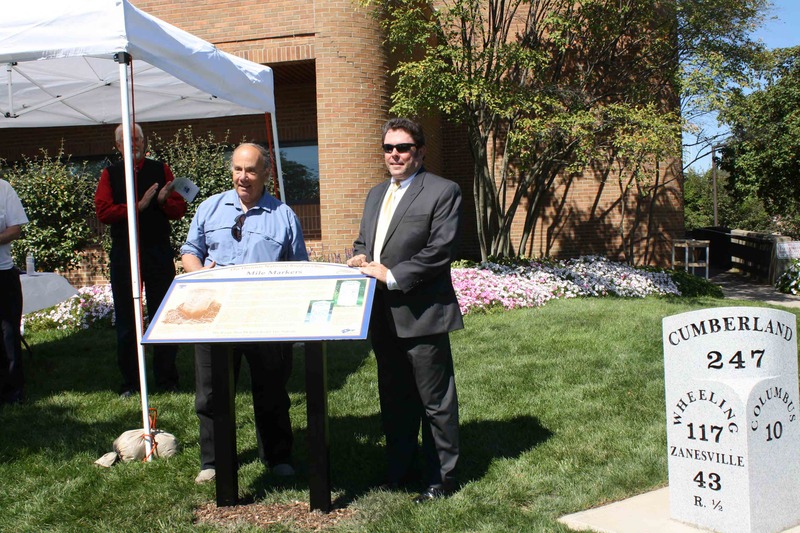 This interpretive sign about the historic mile markers was unveiled along with reconstructed mile marker #247 in front of the Reynoldsburg City Building. 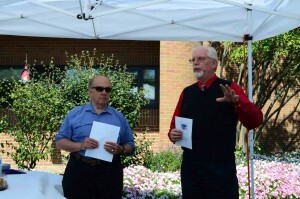 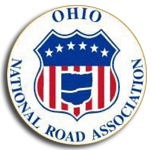 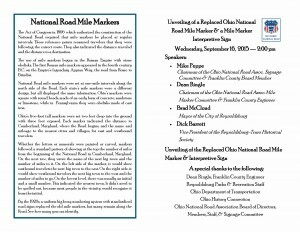 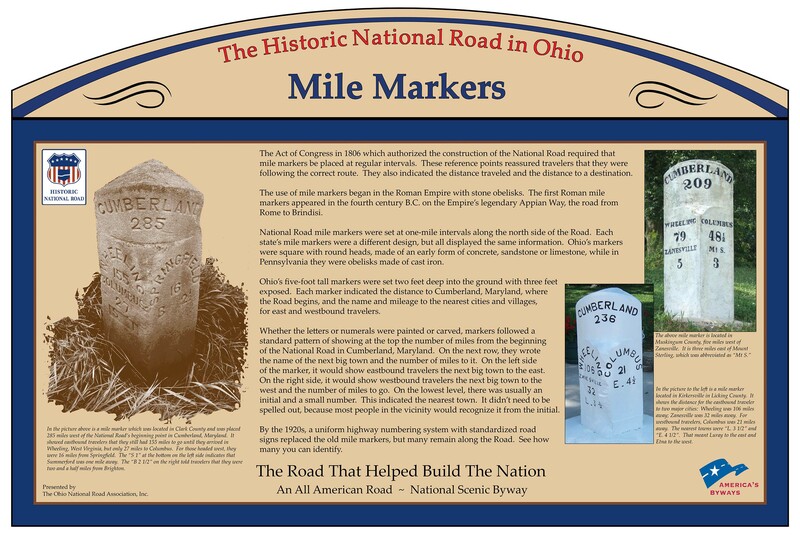 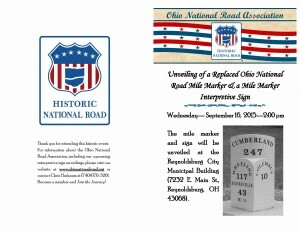 Speakers from the Ohio National Road Association included Mike Peppe, Interpretive Signage Chairman, and Dean Ringle, Mile Marker Chairman (Franklin Co. 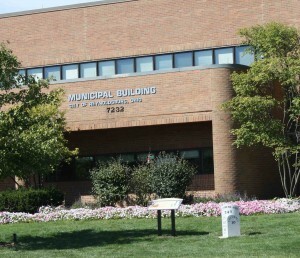 Engineer). 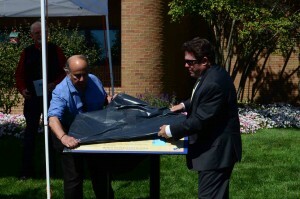 Also speaking and unveiling the sign and marker was Reynoldsburg Mayor Brad McCloud.